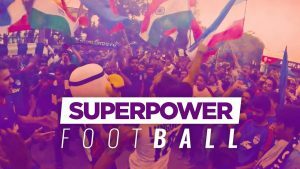 Superpower Football - Half Volley: Minerva SHUTS DOWN! Praful Patel joins FIFA? Home / Indian Football / General / Superpower Football – Half Volley: Minerva SHUTS DOWN! Praful Patel joins FIFA? Eventful week for Indian Football as Ranjit Bajaj announces he is SHUTTING DOWN former I-League champions Minerva Punjab FC. Also, Praful Patel looks set to become the FIRST INDIAN to join the FIFA Council! Previous AIFF president Praful Patel proud to be FIFA Council member! Next VIDEO – 442oons: UEFA Champions League Quarterfinals – The Song (Parody)!